This engraving was published in 1620 when it formed part of series of printed portraits called the Herologia. The series depicted Tudor and Jacobean monarchs, courtiers,and others, such as Protestant reformers. It was devised by the printer and book publisher Henry Holland who ensured his readers that the all the printed images derived only from true likeness taken from an original portrait. 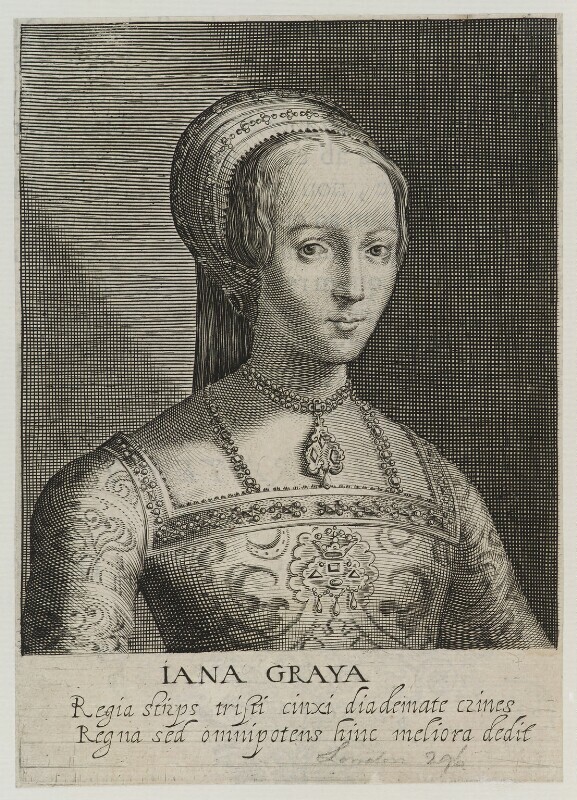 The identity of most of the portraits in the Herologia can be regarded as trustworthy However, the source for this portrait of Lady Jane Grey remains in doubt and it is possible that the original portrait was misidentified.